Whenever I cook dinner, I prefer the same meal – salmon in a sweet chilli marinade, baby potatoes, kale, tomato, cucumber, peppers stuffed with feta cheese, and pickled beetroot. It is a refreshing dish with lots of taste, satisfying my unchecked theory that a meal becomes healthier when you see more colours on the plate. Despite the British ingredients, my dinner is not a standard British dish. As a country, we like our full English breakfasts, steak and chips, tikka masalas and so on, but our dishes are not seen as the healthiest, and our palates are not seen as the widest, so trying something else means turning away from that part of our national identity. This is not a plea to change what you eat for the good of us all, as I am not the sort of person that would say that. However, others have tried. To make Italy a more self-sufficient country, the dictator Benito Mussolini raised the costs of importing grain in order to wean his people off pasta, and onto rice. 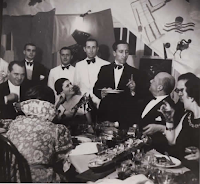 This act chimed with an avant-garde art movement, whose designs on the Italian diet ingratiated themselves with Mussolini, keeping them in business while crackdowns on other movements were taking hold across Europe. 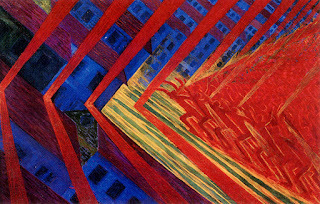 The Futurist movement, founded in 1909 by chief “aeropainter” Filippo Tommaso Marinetti, took inspiration from the modernity and industry that was cutting into the world – cities, planes, cars, speed, technology, violence. 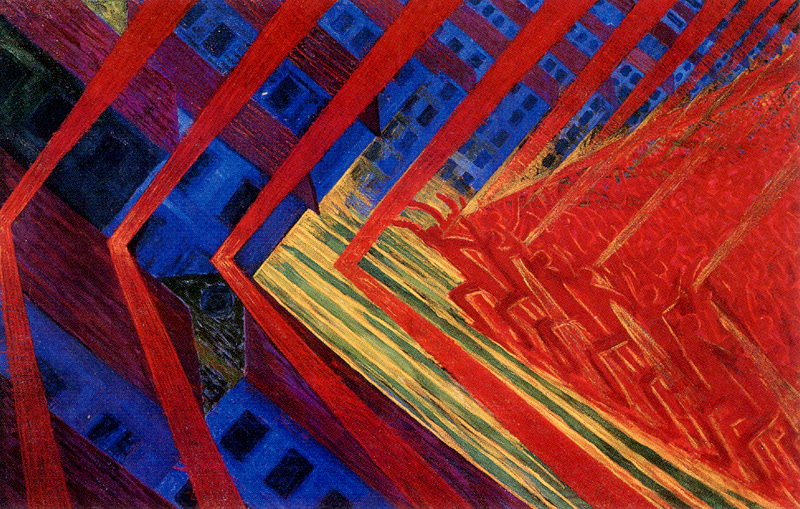 They took in all forms of art, and influenced the Art Deco, Surrealist and Dadaist movements. 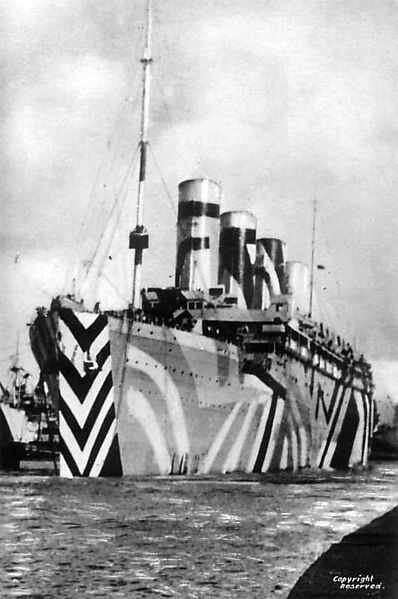 In Britain, Futurist influence is seen in the Vorticists, whose emphasis on bold lines and movement inspired the dazzle-painted ships of the First World War. · “Chicken Fiat” involved a chicken being roasted with a handful of ball bearings inside – once the steel flavour was absorbed, it was served with a garnish of whipped cream. · A “Declaration of Love Dinner,” with a starter of antipasto that had to be admired, but not eaten – “she” will then be invited to look at her reflection in the plate of the next course. 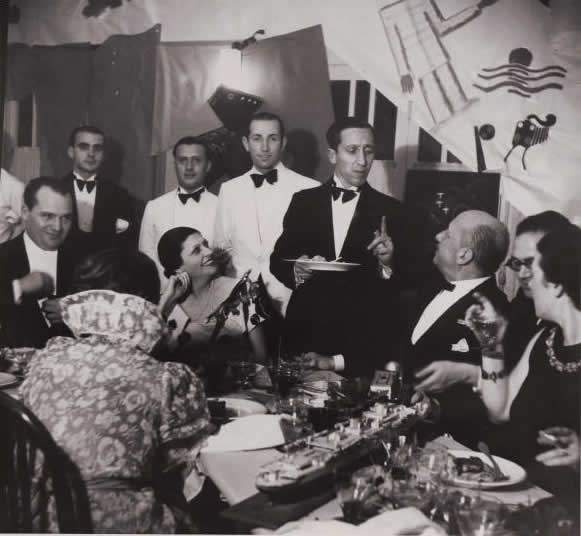 · A “Heroic Winter Dinner,” designed for pilots as a preparation for entering combat, one course of which involved perfectly-cut cubes of raw beef, which had an electric current run through them before being soaked in rum, cognac and vermouth for twenty-four hours; they are then served on a bed of red pepper, black pepper and snow, with each cube chewed for exactly one minute, blowing on a trumpet between cubes. · “Diabolical Roses” – a red rose, battered and deep-fried. · “Elasticake,” a ball of puff pastry filled with red zabaglione and a stick of liquorice, with a lid made from half a prune. These dishes speak for themselves – they are the sort of thing you may try once, just to say you tried. There is a whole book of them, published by Marinetti in 1932, and probably one of the funniest Christmas presents I have ever received. While the bizarre choice of ingredients brings Heston Blumenthal to mind, his fusion of foods is in the interest of creating new tastes, while the Futurists were not really chefs, their dishes rejected outright by the Italian people. Perhaps, the lesson to be learned is not to play with your food, and don’t be fascistic about it either.